In 1771 John Wesley, the founder of the Methodist reform movement within the church of England, sent Francis Asbury to the American colonies to assist the Methodist societies which had begun to develop in New York and the mid-Atlantic region. On February 25, 1772, Asbury preached to a group on Staten Island gathered at the home of Gilbert Totten. The Methodist movement on the island continued to grow, and by 1806 the Methodists on the south end of the island who had been worshiping at Woodrow Methodist Episcopal Church were numerous enough to warrant the construction of a new church. The faithful met in a small structure known as “Richmond Tabernacle” built in 1825 on the site of the present Richmond Valley Train Station. That congregation held a meeting in the fall of 1840 where it was resolved to build a new structure. Thus construction began on a 40’ by 50’ frame structure on our present site, and Bethel Methodist Episcopal Church was dedicated in the spring of 1841. The surrounding cemetery was opened at or just before this time. 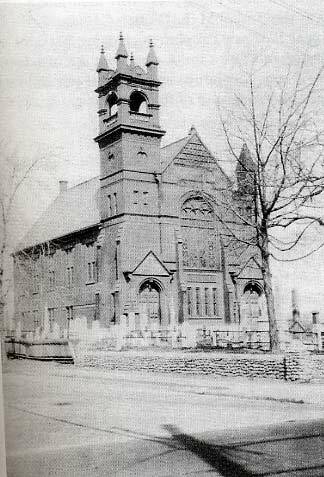 The church building was destroyed by a fire on the night of January 10,1886, but the congregation quickly resolved to construct a new and larger church. Our present building, constructed on the same site at a cost of $6,148, was dedicated on May 8, 1887, by Bishop W.L. Harris. Bethel United Methodist Church is one of the three oldest Methodist churches on Staten Island, and one of the oldest in American Methodism. The oldest, John Street Church in Manhattan, dates to 1766.